No, not even that one! Last year, I wrote about Calgary Flames owner Bryan Burke’s ongoing attempt to hold his host city hostage, demanding a ransom of over $1 billion, or else he would move the team elsewhere. While this in and of itself is standard procedure for most professional sport team owners in North America, it seemed especially egregious for Burke to demand so much public money. He has spent much of the last decade working to break down barriers for queer people in sport, so it seemed especially hypocritical for him to demand assets that could theoretically produce greater utility when put toward providing resources for Calgary’s queer population. Today’s news that Phoenix Suns owner Robert Sarver was demanding a similar subsidy for his own stadium was equally disappointing. He asked for the city to pitch in almost a quarter-billion dollars toward a renovation of the existing arena, offering only to pay $80 million himself. 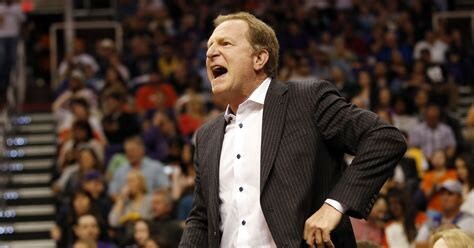 When the Phoenix city council delayed a vote on the matter earlier today, Sarver floated the idea of moving the team to either Seattle or Las Vegas. I looked around our plane and looked at our players and the diversity in our organization. I thought we need to go on record that we honor our diversity in our team, in the NBA and we need to show support for that. As for the political part of that, that’s my statement. There are times you need to stand up and be heard. 2010, though less than a decade ago, was a different era in professional sports, when it was still wildly uncommon for people like Robert Sarver to comment on political issues. So Sarver should get credit for what he did then. But his comments today show that — like Burke and every other crusty geriatric vampire sucking up every public dollar they can get — he still puts wins and dollars over people. Public subsidies like this have very real and very large opportunity costs: every tax dollar spent unnecessarily renovating the Suns’ arena is a dollar that could have gone toward helping some of the 26,000 citizens of Phoenix that don’t have a home, or increasing resources for its school system. But Sarver, apparently, doesn’t care. This is all to say that we — or maybe its just me at this point — shouldn’t be surprised anymore when the so-called ‘good owners’ turn about to be just as soulless as the Bob McNairs or the Dan Gilberts of the world. Just because Eagles owner, Jeffrey Lurie, for example, has a PhD in social policy and says all the right things in public, doesn’t mean he wouldn’t take every cent he could from the struggling City of Brotherly Love, and it doesn’t mean he’s not just as guilty as all the rest of them for refusing to sign Colin Kaepernick. Same goes for Steve Ballmer and Paul Allen. Despite both maintaining very clean public personas, and having large philanthropy portfolios, its a fool’s errand to expect them to be any less exploitative than the rest’ they’re just not quite as shameless about it. There are no good billionaires, which means that there can be no good billionaire owners. Final note: public support for the subsidy in Phoenix appears, thankfully, to be in the toilet.